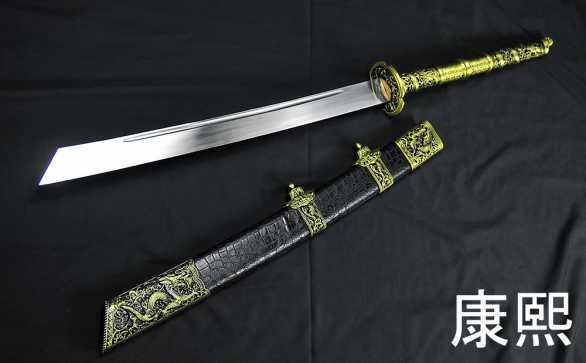 The Kiangxi Horsebane was one of the first and most popular swords in our Forge Direct series - even with the $2,000 price tag it had. 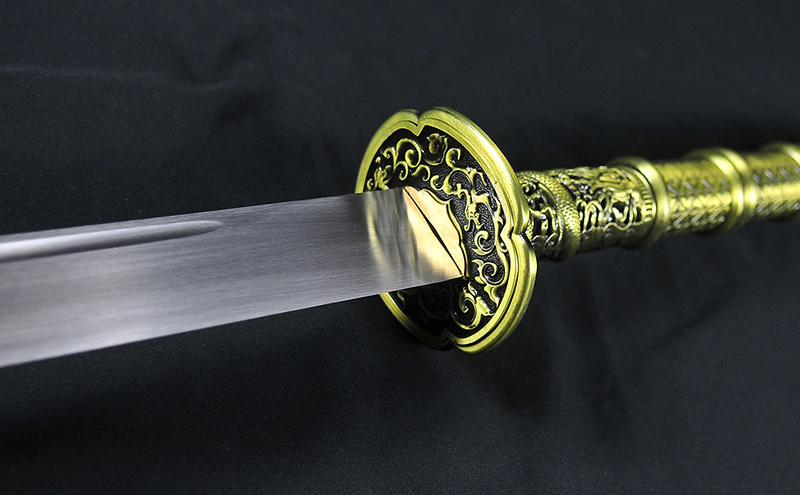 But here is an entry level version that costs less than 10% of the previous Kiangxi, but despite the low price, is a totally functional cutting sword. These swords, which were in many ways more like a short hafted glaive than a traditional sword, were designed to wreak havok on the battlefield and were designed with sheer cutting power in mind, for these swords were 'horse killers' used to chop the head and/or the legs off an enemies mount and leave them helpless on the ground. 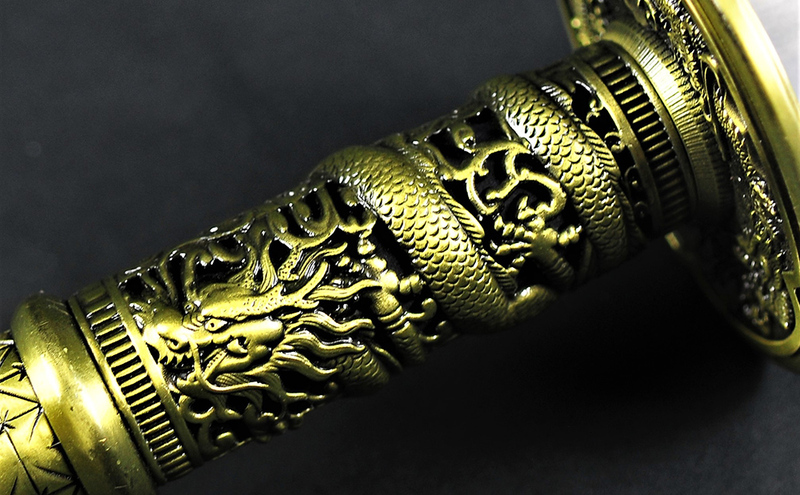 This version dates to around the 17th century and reached the peak of its use and popularity during the reign of the Kiangxi Emperor, hence its name. 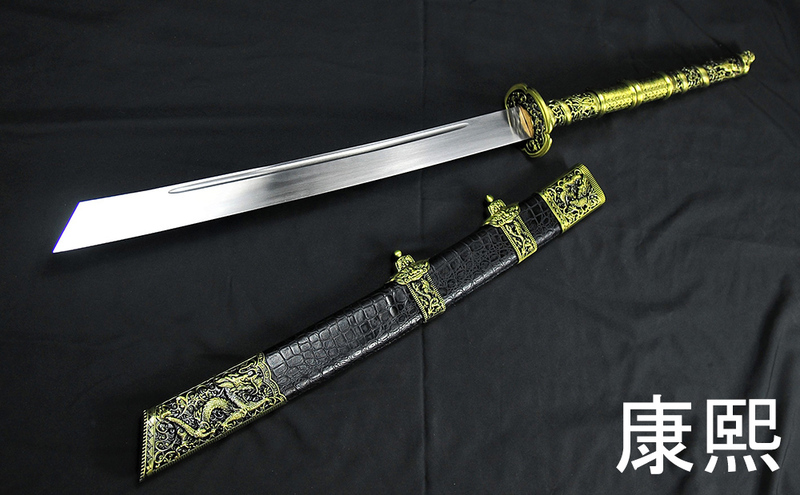 The blade is made from 65 mn Spring steel, tempered for toughness and sharpened so it can slice and dice tatami like vegetables on a chopping board.. 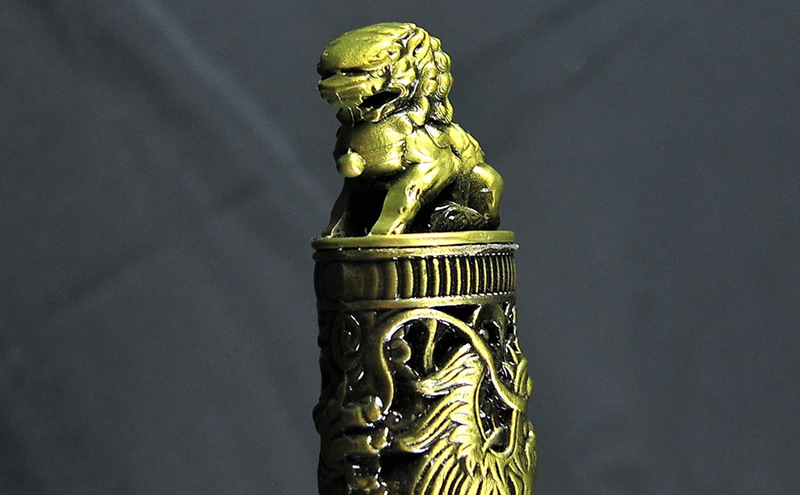 The fittings are highly detailed castings with a wood core handle and scabbard, with faux-leather inlay on the sheathe. 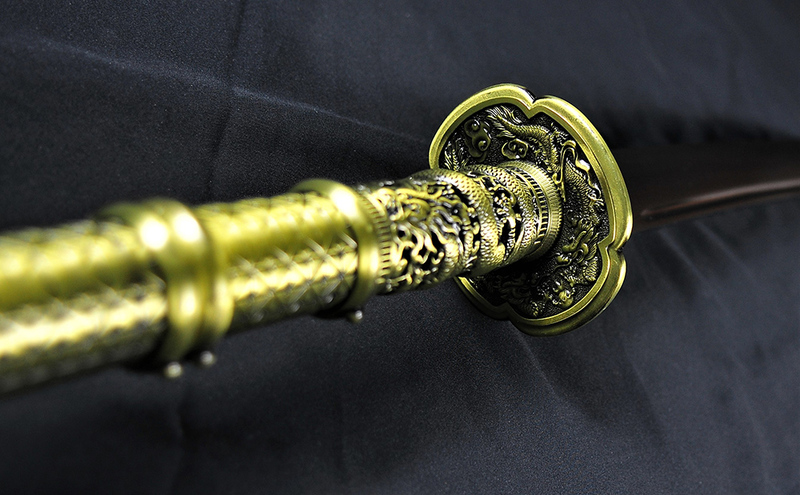 On display, it is highly intimidating, but this is no mere ornament and is the kind of sword many other companies may try to pass off as priced much higher item, but here you can get it for an honest and awesome price. Comes with a free bonus sword display box. 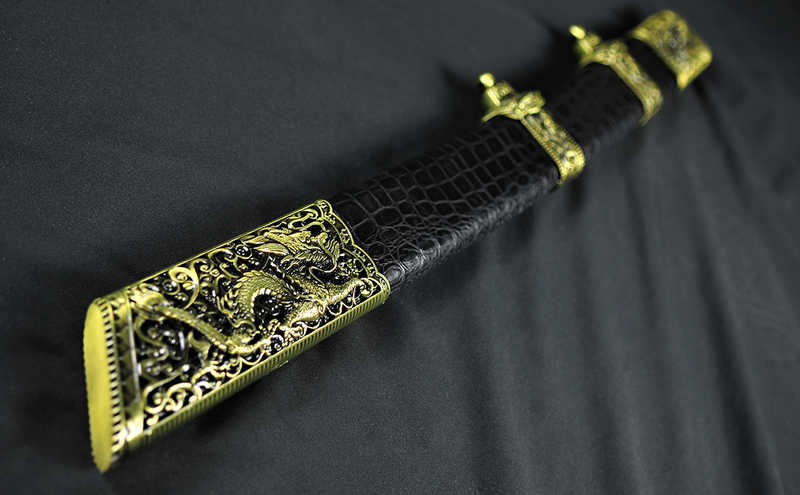 Overall (with scabbard) : 40 1/4" (inch) Overall (without scabbard) : 37 3/4" Blade length: 21 3/4" Handle length: 15 1/2" Weight(with Scabbard) : 5.8 lbs Weight(without Scabbard): 4.1 lbs Point of balance (from point to bottom of handle ): 1/2"
65MN Spring Steel Hand Forged and Factory Sharpened Blade. 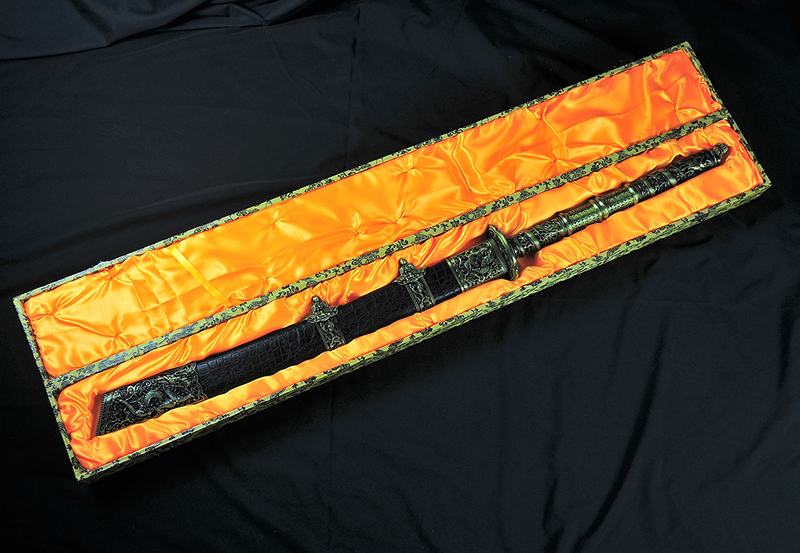 Wooden core scabbard with leather inlay, zinc aluminum cast fittings.